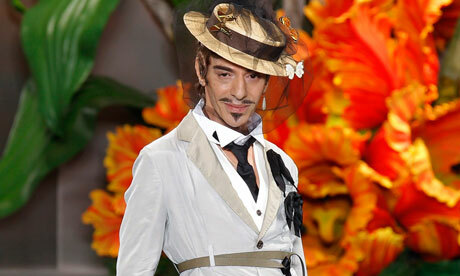 Could John Galliano be gracing the small screen in the future? 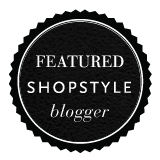 The designer is said to be considering an appearance on talk show Charlie Rose – a program known for featuring leading politicians, actresses, writers, musicians, and leaders. Famous names from Leonardo DiCaprio to Hunter S. Thompson have been on the show and it seems like a great platform for Galliano to talk about everything that has went on over the past 2 years. Yet his publicist, Liz Rosenberg, has denied the claims telling WWD that “there are no plans in place regarding TV appearances for John at this time.” Executive producer for the show, Yvette Vega, said that nothing has been confirmed but didn’t rule out a future interview with the designer. “We are open to interviewing people whose views represent a wide range of opinions, from Bashar al-Assad to Bono,” she said. With the July issue of Vanity Fair on sale June 7th featuring an exclusive interview with Galliano, I guess us Galliano fans will have to be patient to hear what the designer has to say.